Description: Leki Corklite Trekking Poles are a staple on any hike I take, whether it be long distance backpacking or a quick day hike. Plus, Leki Corklite Trekking Poles’ Speedlock2 system allows for a customized length anywhere from 100-135 cm so the options are endless. Circumstances of Review: After hiking El Camino de Santiago with Leki Micro Vario TI COR-TEC I was hooked on using trekking poles and Leki’s products. But, during a shake down hike, I lost my one of the poles to a raging stream. Certainly, I could have used the remaining pole but I liked having double the support. I opted for the lighter Leki Corklite for my Appalachian Trail Thru-Hike and loved these. Probably my favorite “accessory”. Balance, Baby: On rough terrain, trekking poles kept me balanced and saved me more than once from a wipe out. I fondly call my Leki Corklite Trekking poles: the important things that save my face from falls. Without a doubt, my trekking poles saved me from a trip to the ER and/or from thousands of dollars of dental work. Honestly, I think I would have broken an ankle without them. 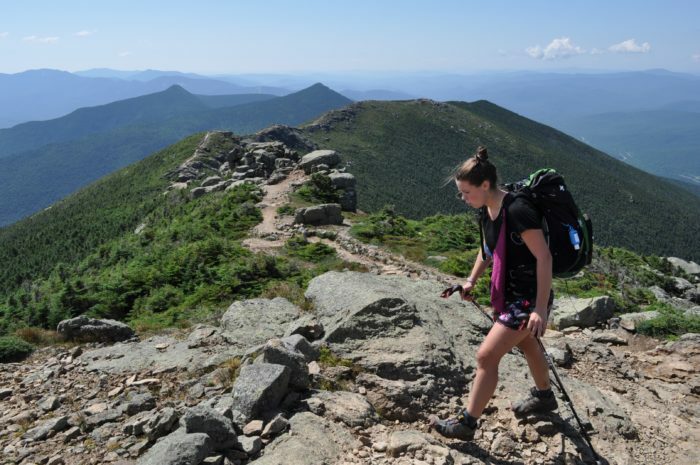 Arms moving, legs grooving: In general, trekking poles can increase your average hiking speed. Growing up, coaches always said to move your arms- you’ll run faster. The same idea applies to trekking poles- using both your arms and legs together to get into the hiking groove. And, seriously, when you’re hiking and you find your golden pace its amazing. Multipurpose: You’re trekking pole can be used as a weapon. I’m kind of kidding, but not really. 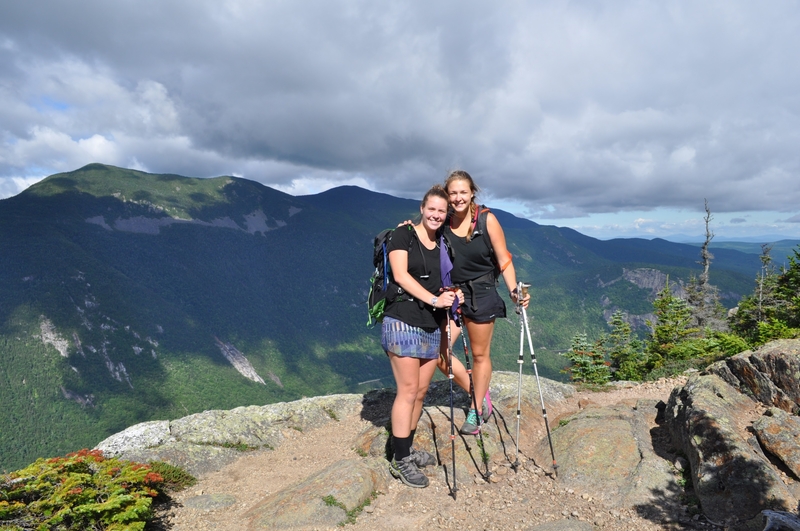 In the case of a wildlife encounter, trekking poles can be used to make yourself appear larger as well as ward it off. For example, a hike in Shenandoah almost always guarantees a bear sighting. On our first day, I encountered a big fur ball who didn’t want to part ways, so I waved my trekking poles and firmly told him to go away. After ten seconds, the bear scampered away. This method worked with the 10 other bears we saw in SNP. Replaceable Pole Tips: Understandably, a 2,000 mile journey does some damage to gear. For some reason, my carbon tips lasted the entire Appalachian Trail but I know many thru-hikers had to replace them, especially after Pennsylvania. Weight: The poles weigh 18 oz and this is really the only downside I can think of for Leki Corklite trekking poles. Personally, the 18 oz piece of gear put less stress on my body while hiking and really did save me from rolling my ankle/face planting. So… I’d say it’s absolutely worth it. However, some people don’t like trekking poles and prefer to hike without them. In this case, I’d try out hiking with trekking poles and if you find yourself not using them- send them home. If I had one gear advice for thru-hikers-It would be to carry trekking poles. Also, get trekking poles with cork instead of foam because it means less bacteria/stank. Yes, trekking poles can get that thru-hiker stank as well. When I stashed my poles and wasn’t using them, I did feel more pain in my legs. Overall, Leki has amazing customer service, replaceable tips for wear and tear and makes a quality trekking poles. Leki 4 LIFE. Seriously.